2005 Ford F250 Supercab 6.0L Powerstroke with Nitto Mud Grapplers on 18" Ultra Bullet Hole Rims, a 2.5" Readylift Leveling Kit with ReadyLift trac bar drop bracket, 5" ReadyLift Rear Blocks and a complete set of Rancho 7000MT series shocks. Truck lights are a KC front light bar with 8" KC long range driving lights, 8000K HID, Recon Lights Switch Back LED turn signal bulbs, Recon 3rd Brake Light, Recon Amber Big Rig LED Running Lights, and Recon Amber LED cab lights. Performance upgrades include an MBRP Exhaust in 409 stainless steel, Volant Cold Air Intake, and a custom CCV. William O. – Mobile, Alabama. 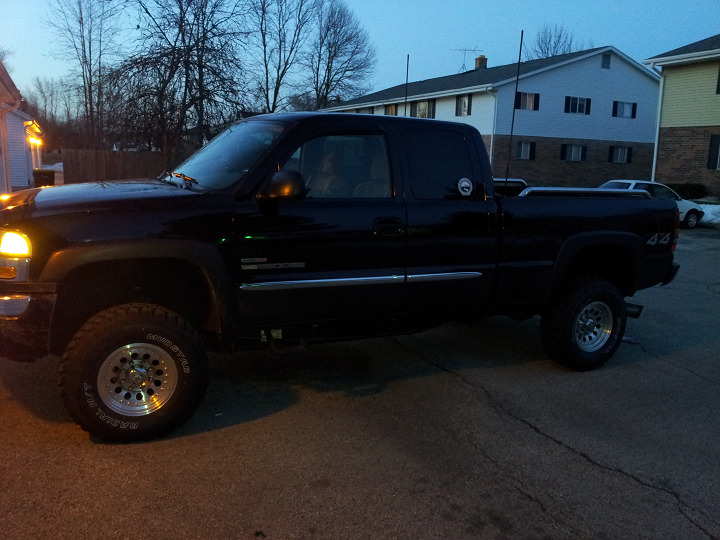 2001 GMC Sierra 3500 dually 6.6L Duramax diesel with a 5 Inch down pipe-back MBRP Exhaust system. Lucas H. – Napoleon, Ohio. 2010 Dodge Ram 2500 crew cab long bed 6.7L Cummins diesel. Upgrades include an S&B Intake and an S&B Scoop as well as a Smarty Jr. with ME tunes and a DPF Delete Exhaust. Christopher C. – Chesapeake, Virginia. 2008 Chevy Silverado 3500 4×4 with 6.6L Duramax LMM. Upgrades include a new AFE Atlas Exhaust system, a turbo wing, stainless running boards and miscellaneous chrome parts. Charles B. – Lexington, South Carolina. 1995 Bluebird Motor Coach with a Turobcharged 300 Horsepower Cummins 8.3L diesel engine with an Aero Exhaust AT5050XL Muffler. Lee D. – Mount Vernon, Iowa. 2005 Ford F-550 with an MBRP Exhaust Tip and a K&N Filter. Rick N. – Mesa, Arizona. 2006 Dodge Ram 3500. Ron P. – Boise, Idaho. 1996 Dodge Ram 2500 with the 12 Valve Cummins 5.9L and a Six-Speed Conversion. Robert T. – Bosque Farms, New Mexico. 2005 Ford F-350 Super Duty with 6.0L Powerstroke equipped with a TS Performance MP-8 chip, strobe light kit, running lights, and an air horn. Andrew P. – Parma, Ohio. 1996 Ford F-250 with 7.3L Turbo Diesel. TS Performance 6 Position Chip, K&N Cold Air Intake, 3 Inch Turbo Down Pipe, Grand Rock 6 Inch Dual Stack Kit with Aussie Cut tips, and Auto Meter NV Series Boost, Pyrometer, and Transmission Temperature gauges. Cameron W. – Allentown, Pennsylvania. 2002 Dodge Ram 3500 4×4 with 5.9L Cummins Diesel, 5 Inch Turbo Back Exhaust, and many Banks Power parts, pushing 600 horsepower with 265,000 miles. John D. – Ashland, Virginia. 1996 Ford F-350 with 7.3L Powerstroke Diesel. Four Inch AFE Atlas Exhaust system, straight pipe with no muffler. Andy S. – Vancouver, Washington. 2009 Chevy Silverado with 6.6L Duramax LMM. 5 Inch Down-pipe back exhaust with EFI-Live tuning. 8 Inch Black Exhaust Tip, S&B Intake, 20 Inch Fuel Wheels with 33×12.50×20 Toyo tires, and an Airdog 2 165 GPH lift pump. Jesse D. – Denver City, Texas. 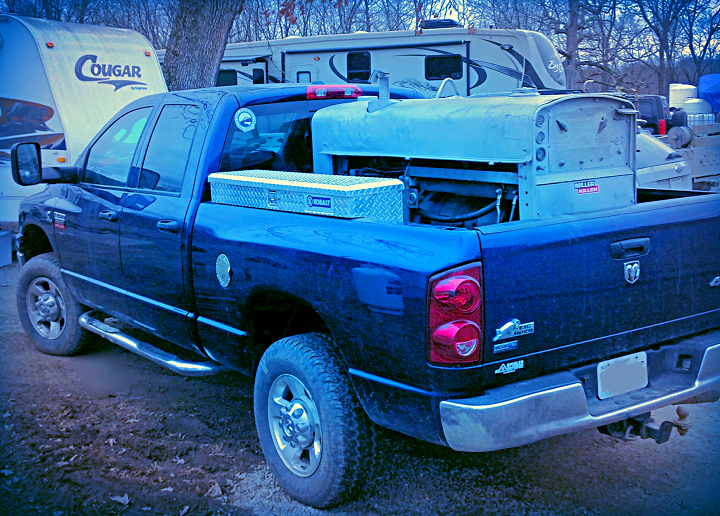 1999 Dodge Ram 2500 4×4 with a boost fooler and an Airdog lift pump to go along with Dual Exhaust stacks. Eric J. – Thurman, Iowa. 2007 Chevy Silverado 2500HD Classic 6.6L Duramax LBZ with custom EFI-Live tunes, ARP Head Studs, Suncoast Transmission, Airdog 2 165gph, 68mm turbo, 40% over injectors, PPE ported fuel fitting, 4 inch turbo back exhaust, and an AFE intake. Exterior upgrades are powder coated white xd monsters, plasti dipped bumpers and grill, smoked headlights, 55w hids all headlight mod, all led bulb replacements. Interior upgrades include limo tint, auto meter digital boost and pyro gauges, 2 kicker 12s powered by 2000 watt hifonics amp, pioneer touchscreen radio, all led bulb replacements. Travis B. – Wauchula, Florida. 2004 Ford F250 SuperDuty with 6.0L Powerstroke with a Superchips tuner, four inch turbo-back exhaust system, an S&B Air Intake, and a leveling kit with 35s. Danny P. – Norcross, Georgia. 1995 Dodge Ram 2500 with upgraded diesel injectors, BD Diesel Super B Special Turbo Isspro EV2 EGT, Fuel Pressure, Boost and Transmission Temperature Gauges, an MBRP Exhaust and 3rd Gen wheels with a 1999 HD steering upgrade. Sean D. – Lakewood, Colorado. Jetta TDI Sedan with Diesel Power Digi Z 10 Pin power module, Stage 2 Clutch, K&N Intake, and custom 2.5" exhaust. Jeremy S. – Rosedale, Indiana. 2004 Ford F-350 Super Duty with 6.0L Powerstroke Diesel with multiple upgrades including a 5 Inch Turbo Back MBRP SLM Stainless No Muffler exhaust system. Alex S. – Sumerduck, Virginia. 2005 GMC Sierra Duramax with Edge programmer, MBRP Turbo Back Dual Exhaust, 3 Inch Lift, EGR Delete, and 33 Inch Mudstars on 16 Inch American Racing Rims. Spencer H. – Saukville, Wisconsin. 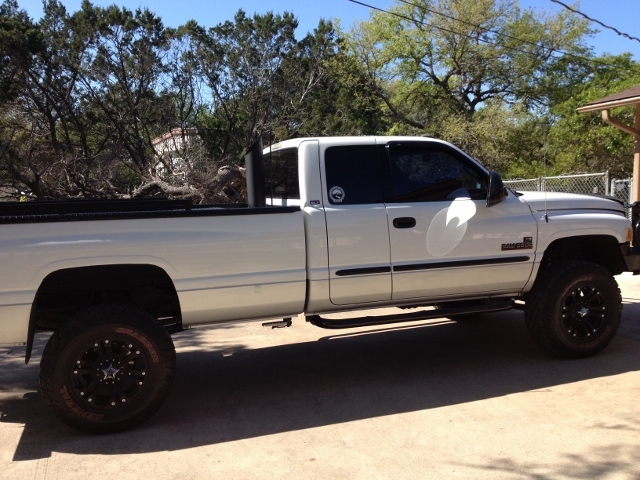 2002 Dodge Ram 2500 4×4 with 2 Inch Leveling Kit, Rear Air Bags, MBRP Stack Kit with 6" Black Stack Tip, 4:10 Gears front & back, Airdog FRRP fuel pump, 40 hp injectors, and Edge EZ Module and 35×12.50 General Grabbers on XD Monsters modified with Star center Caps. Darryl B. Canyon Lake, Texas. 2012 VW Golf TDI with AFE Stage 2 Cold Air Intake and Banks Monster 3 Inch Exhaust. Nathan W. Hendersonville, Tennessee. 2008 Dodge Ram 2500 with 6.7L Cummins Diesel. 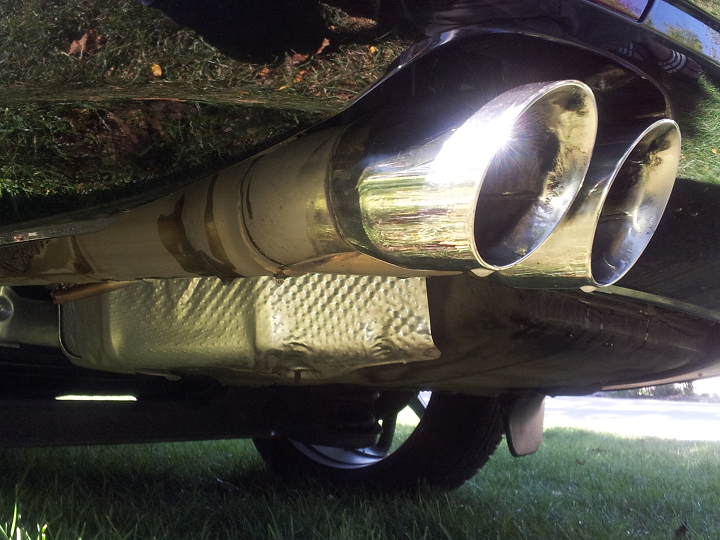 MBRP Exhaust with an H&S Performance XRT Pro diesel tuner. Tyler B. – Wyalusing, Pennsylvania. 2012 Ram 2500 6.7L Cummins Diesel. 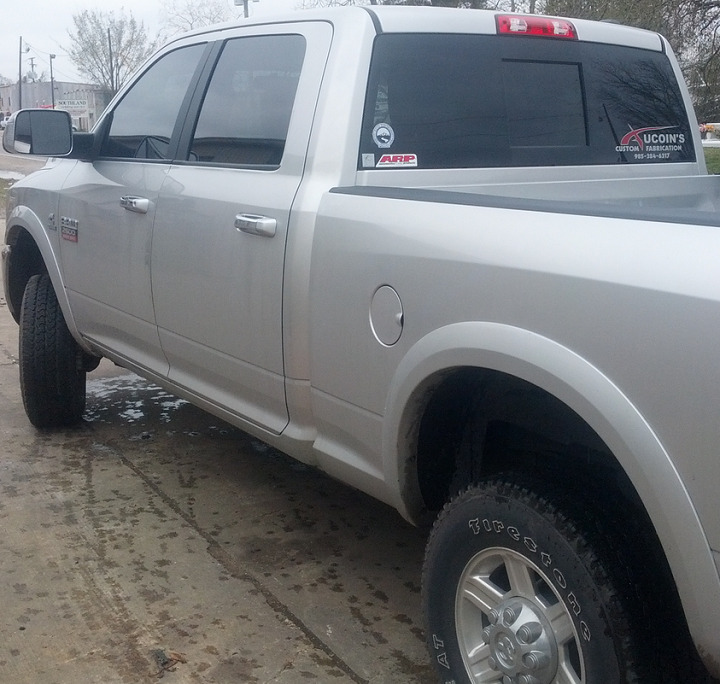 H&S Performance MiniMaxx Race Tuner, MBRP 4" Turbo Back Exhaust, EGR Delete Kit. S. Muchko – Irwin, Pennsylvania. 2012 Dodge Ram 6.7 Cummins Diesel with ARP Custom Age 625 Head Studs, H&S Performance Xrt Pro Race Tuner, EGR Delete Kit, 4" Turbo-Back DPF Delete Exhaust, S&B Cold Air Intake and Amp Research Steps. T. Aucoin – Morgan City, Louisiana. 2000 F-350 with Banks Power Elbow, Banks Monster Exhaust, Edge Evolution Programmer, 14.5 inch lift with 42 Iroks. Snow Performance Stage 3 MPG Max Boost Cooler. T. & S. Raybon. Hi Guys , I received the Aero Turbine , Love it , sounds great & performance did improve over my 3" straight through resonator type . Attached is a pic installed on my Mitsubishi Triton Turbo 2008 Common Rail Diesel. J. Rassmussen. 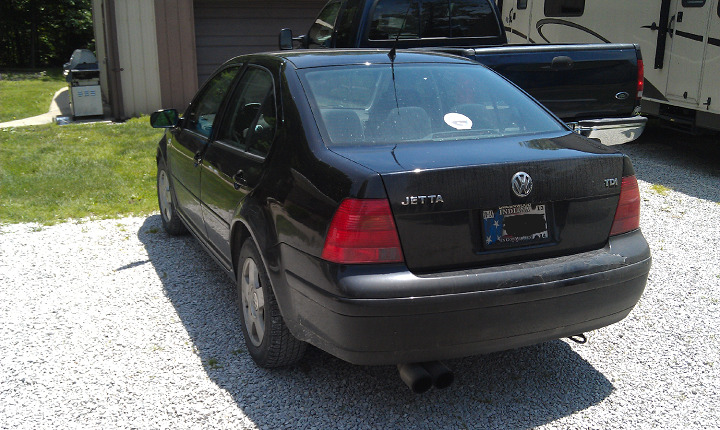 2006 V W Jetta Tdi, Van Aaken TDi Performance module, Custom straight pipe exhaust. 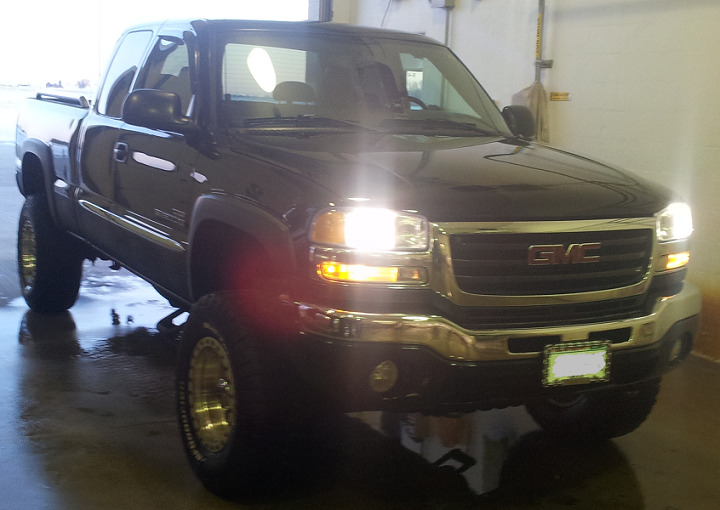 2006 Chevrolet duramax, custom paint, AFE cold air, exhaust, triple dog power pup chip. 02 VW Jetta TDI 5 speed. Cold air intake. No muffler. ’01 Dodge 2500 Cummins Turbo diesel with chip and exhaust. I just put on my 6" stacks I bought from this site and the truck has never looked better. Here are some pictures since I saw you had a readers rigs section. Thanks. 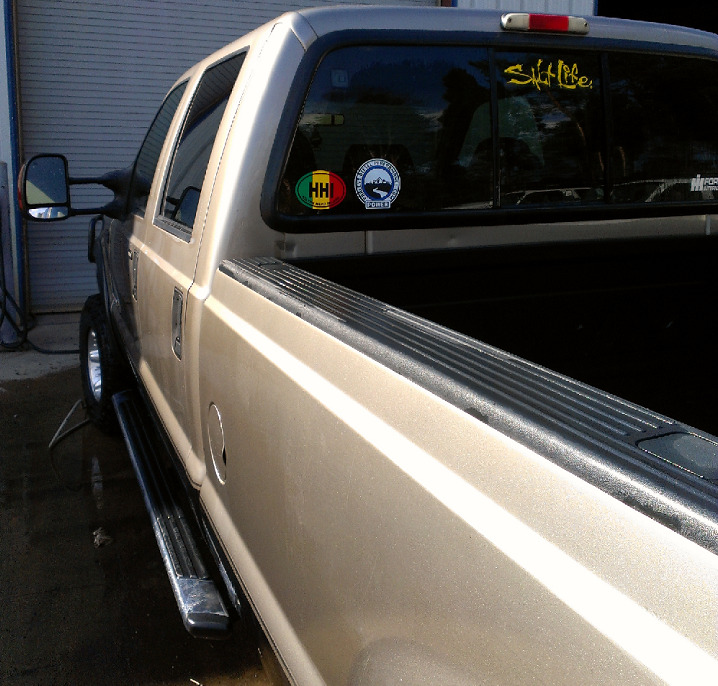 My truck is a 99 f250 4×4 powerstroke diesel, it has a 6.5 inch pro comp all spring lift. It sits on 37 × 12.50 x17 pro comp aluminum wheels and pro comp mud terrain tires. It has a homemade intake , a muffler delete kit for some more noise, and a stainless bull bar with 2 6 inch kc lights. Also stainless rocker trim, door handles, bug shield and bushwacker fender flares color matched when we repainted it this winter.